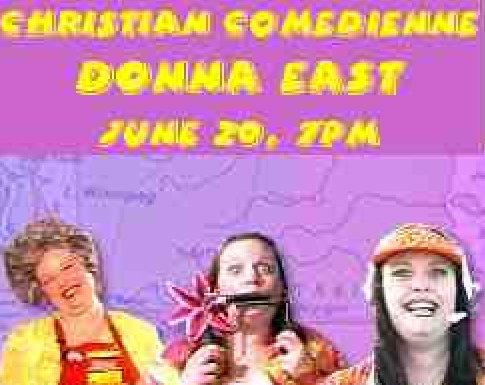 Christian Comedienne, Donna East (DonnaEast.com), will perform at WCCC on Saturday, June 20 at 7pm. She'll be bringing clean comedy for the entire family. Speaking of which, she's got plenty of fresh material based on her new role as mommy. Get prepared for the healing art of the belly laugh. Send your friends to WestchesterChapel.org/DonnaEast. Admission is free, and an offering will be collected.